You are here: Home / Investments / KISS investing: The right thing to do to your Investments. KISS investing: The right thing to do to your Investments. With so much information floating around on investments and financial strategies, it is easy to get carried away. However it is always a good option to KISS investments or in other words, Keep It Simple, Stupid for Investing, here’s how. The hardest thing to do is to perhaps keep things simple. This is ever so true in case of investments. We all have access to some sort of media in today’s life and in all forms of media there are projections, estimates, tips, strategies, analysis, and what not by experts and Gurus of the financial world. It is very tempting to follow their advice and proposed expert investment strategies and hope for those tips and tricks to work for your own investment. But it is always advised to follow the KISS principle for investing. KISS is ‘Keep It Simple, Stupid’. Keep your investments simple and straight forward. But we do not do it. We should not forget that these experts earn a living out of it and when they say something, they understand it way-better than what you and me can understand. What happens then? We end up with a complicated Investments structure and messed up financial portfolio that we cannot understand. Believe me. When it comes to investments Simple is Better, Complex is trouble. 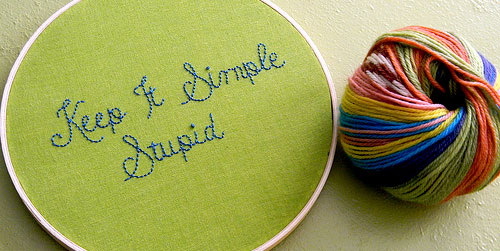 Always, always, Keep It Simple, Stupid; tell this to yourself and follow it. Keep things simple. Even, Warren Buffett, considered to be the most successful investor of the 20th Century, insists on it. He himself followed it and his success can be seen by one and all. The idea in anything you do is to understand exactly what you are doing, and the best way to understand anything is when it is simplified and straightforward. So how does KISS principle apply to investing? You may ask. Well this is how. Firstly identify the purpose of your investments and do not mix it up. If you are looking for Insurance then don’t expect returns from it. Opt for plans that offer pure insurance like Term Plans and do not opt for fancy plans that provide you with insurance and investment. Also, if your purpose is investment, then be clear in your head if you can handle certain amount of risk for better returns or you need guaranteed returns. If the answer is higher returns and some risks, go for simple SIP route of mutual funds. Choose a fund based on the past records and especially if a fund has given slightly better returns over the other funds even in the worst low phase of the markets, it will most likely do well. Once you start an SIP make sure it is for a long term and let it go on. This way your insurance is separate, your equity exposure is separate, and your portfolio is simple enough for even you to understand yourself. KISS investing also should be applied in case of secured and debt investments. If your option is to have a secured investment, than it is a good idea to keep it in things that you can understand well. While a lot of financial advisors will tell you about a lot of option that are relatively safe, it is you who should be able to understand them well. For instance if you have a better understanding of bank FDs over the other available alternatives to bank Fixed Deposits in India, then there is nothing wrong in investing in an FD. If you understand Fixed Maturity Plans or Debt Mutual Funds, by all means go ahead, but ONLY IF YOU UNDERSTAND them. Blindly following the advice of financial planner may not be a good idea. You yourself must be able to understand your own investments and the best way to understand things are by keeping them simple. There is no such thing as only and complex portfolio can make you rich. In fact a simple and straightforward investment portfolio can do wonders for your financial life. A complex investment approach will end up messing up your portfolio and your head and you may not know what to do and how to correct it. But if things are simple, you can get a clear picture of why an investment did not work for you. Try it yourself. 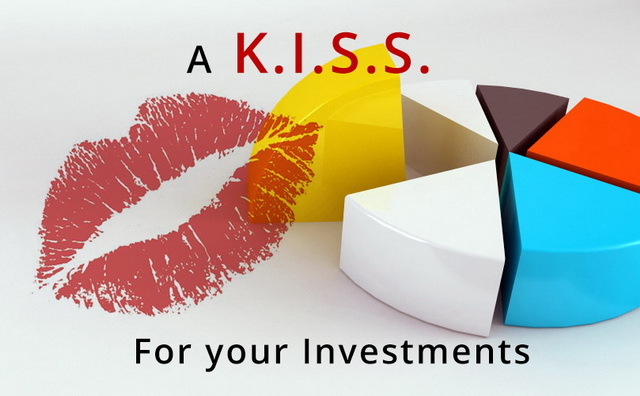 KISS invest and have a sound financial life. Do not complicate it. Money in itself is a complicated thing, and it is best to not complicate it further by complex investment portfolios.